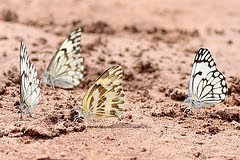 The brown-veined white, Belenois aurota, of southern Africa. Photo from Bronberg Conservancy. Belenois is a genus of about thirty species of butterfly of the family Pieridae found in tropical and subtropical regions of the Old World, with the greatest concentration of species in Africa. The caterpillars feed on plants of the caper family Capparaceae, though Moulds (1999) suggested that early records of 'cabbage whites' feeding on Brassica species in Australia prior to the confirmed introduction of any Pieris species might refer to Belenois java (the families Capparaceae and Brassicaceae are very closely related). 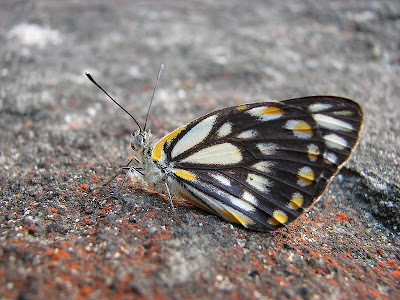 Like most other pierids, Belenois species are medium-sized butterflies (the sole Australian species, B. java, has a wingspan of 55 mm - Braby 2000) with white or yellow background coloration patterned with black or brown on the wings. Individuals of a single species may vary in coloration patterns. Studies on B. java teutonia, which has distinct dark and pale forms, found that larval food species was one factor potentially affecting variation - caterpillars raised on Capparis umbonata always emerged from their pupae as dark form individuals, caterpillars from C. lasiantha were always pale, while caterpillars from C. spinosa could be either dark or pale (Braby, 2000). The African veined white, Belenois glidica abyssinica. Photo by Johan van Rensburg. Migratory habits have been recorded for a number of Belenois species, particularly B. java in Australia and B. aurota in southern Africa. 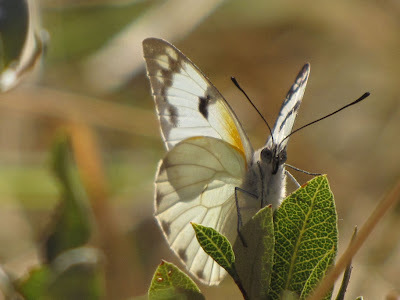 Belenois aurota is one of the most abundant butterfly species within its range - one observer recorded witnessing a migration of about 500,000 individuals in Lesotho (Kopij 2006). 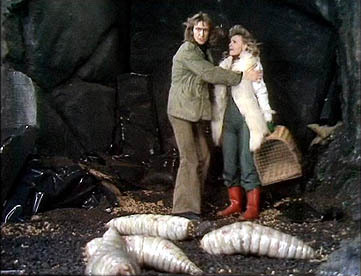 A number of females will lay their eggs together in loose clusters on a suitable host plant. 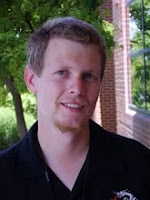 Braby (2000) notes that in some seasons a single tree may carry tens of thousands of eggs of B. java and the tree may end up being completely defoliated by the voracious caterpillars. Mortality among the caterpillars is high; only a few will reach adulthood. The caper white, Belenois java teutonia, of Indonesia, New Guinea and Australia. Other subspecies of this species are found on islands of the Pacific. Photo by Peter Shanks. Braby, M. F. 2000. Butterflies of Australia: their identification, biology and distribution vol. 1. CSIRO Publishing: Collingwood (Australia). Kopij, J. 2006. Lepidoptera fauna of Lesotho. Acta Zoologica Cracoviensia 49B (1-2): 137-180. Moulds, M. S. 1999. The history of Australian butterfly research and collecting. In Biology of Australian Butterflies (R. L. Kitching et al., eds) pp. 1-24. CSIRO Publishing: Collingwood (Australia). Love it! Any specific reason why the post is not tagged with "Lepidoptera"? Any specific reason why the post is not tagged with "Lepidoptera"? Because I reworked my categories, and because I'm messing with you.